Miles upon miles of Bay of Fundy hiking trails wait to be explored along the coast that surrounds the magnificent Bay of Fundy. In Fundy’s many parks find trails suited to those looking for a leisurely hike as well as for those seeking a genuine challenge. Follow rugged trails to otherwise hidden, breathtaking coastal and forested territories, such as those found along the Fundy Footpath, stick to more traveled pathways that lead you to stunning rural vistas, like Cape Split, or take a more relaxed beach hike along Fundy’s pristine shoreline. Depending on your preference, you can choose to plot your own course or be led by a knowledgeable local guide. The Fundy Trek is a challenging 125km (78mi) hike between Riverview, NB and St. Martins, NB. This was the 34th article in our “52 Reasons to visit the Bay of Fundy” series. Stargazing in Canada’s First Urban Star Park was last week’s reason to visit the Bay of Fundy. Don’t forget to mark your calendar or use our RSS feed so you won’t miss the 35th reason next week! We have two nights for Fundy. 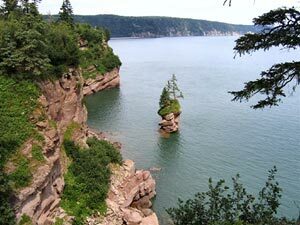 We would like to camp, hike, and experience the beauty and marvel of Fundy. Where would you recommend to spend those nights? Thanks. Will be arriving via cruise ship on October 19th. Want to do some hiking and /or tidal bore rafting. Any info about transportation to the Bay of Fundy from the cruise ship for these activities would be helpful. 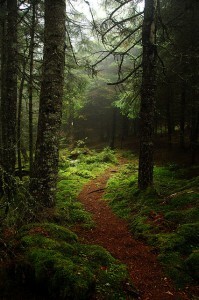 I’m looking to book a hiking trip on the Bay of Fundy Circuit. Could I get a telephone number to call?